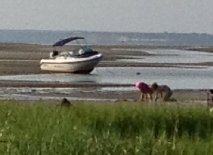 This year has provided lots of ups and downs, when it comes to Mother Nature on the Outer Cape. 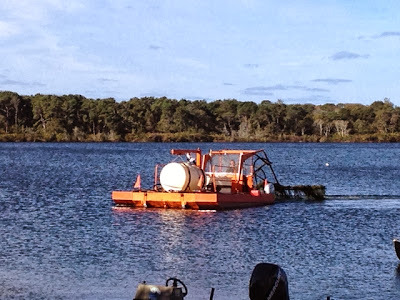 The Cape Codder has put together their annual year-in-review article. 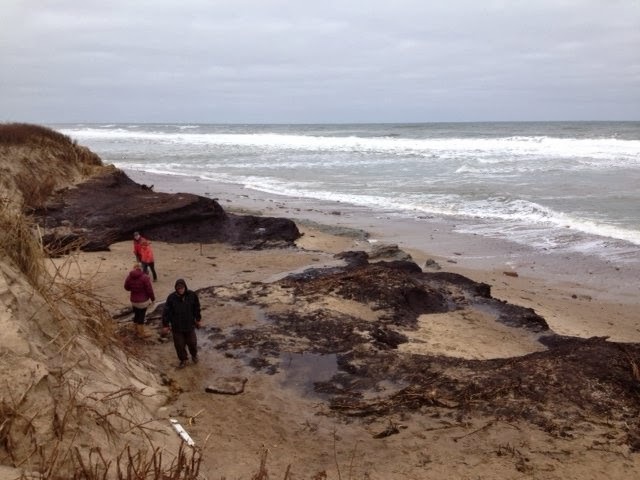 The article addresses the spring storms, right whales, sharks, coyotes, sea turtles, and more. The article is ... Here. 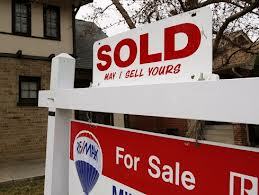 My January 2014 Market Report - Available Now! My January 2014 market report is available now! This issue has my report on Eastham's sales through November as well as my 2013 year-end market preview. 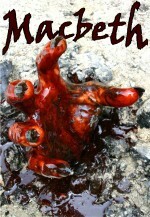 There is a new listing and links to a number of recent articles that you'll find interesting. Additionally, you'll find one of my most useful 'apps'. This newsletter has been published every month for almost 11 years. My aim, with this newsletter, is to provide accurate sales and market information about the Eastham housing marketplace, to add commentary and opinion (as appropriate), and to keep it interesting. Download your copy of my January newsletter now. Although we've had two 'dustings' prior to today, today's snow provided an inch or so of 'winter wonderland'. 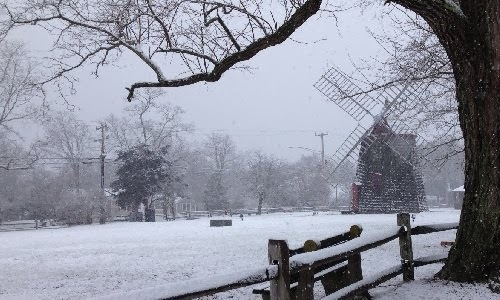 Here is the Eastham Windmill at mid-day, at the height of the snowfall. Total November sales were approximately $4.3M - the average home sale price was $481K. The median sale price in November was $441K. 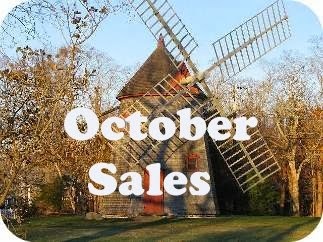 There are currently 102 active single family listings in Eastham (down 15 from last month), with an average list price of $702K and a medium list price of $497K. 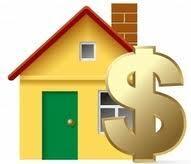 My October 2013 Market Report Is Available Now! My October 2013 market report is available now! This issue has my report on Eastham's sales through August and my predictions for the full year. There are also several new listings and links to a number of recent articles that you'll find interesting. 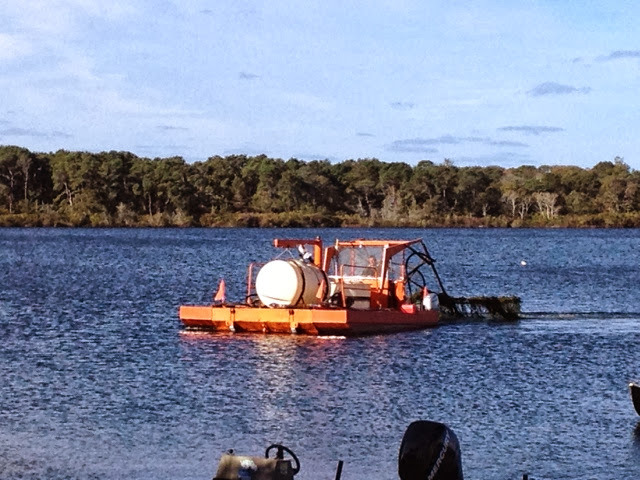 Lastly, we have an article about Wellfleet's Oysterfest. This newsletter has been published every month for over 10 years. My aim, with this newsletter, is to provide accurate sales and market information about the Eastham housing marketplace, to add commentary and opinion (as appropriate), and to keep it interesting. Download your copy of my October newsletter now. Sometimes genius comes from the simple things. Cars now can drive themselves, park themselves, warn you if you wander out of your lane, and a myriad of other high tech advancements. They are big news in a way that sounds very expensive. But, this year's winner is far more simple. 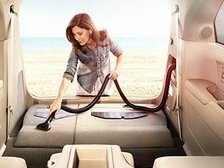 The Honda minivan, the Odyssey, sports a auto central vacuum cleaner. They call it HondaVac (how clever!). Apparently, this stroke of brilliance came from a Honda engineer's 10 year old daughter. Of course! I'm hoping that next year's brilliance might be something like an in-car Keurig coffer maker. Or maybe a way to retrofit a central vac in my car. Just a thought. Read about this 10 year old's brilliance on the US News website... Here. New Listing - Eastham Marshview Cape - Easy Living! 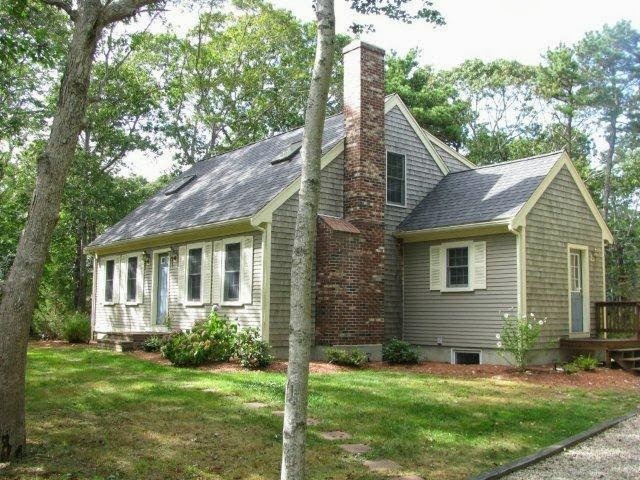 EASTHAM - New Listing - This home is the definition of open & easy living. We have a wonderful new stainless kitchen with quartz counters and recessed lighting, an enormous first floor master bedroom, vaulted living room with fireplace and skylights, and a full walkout basement. The large rear deck overlooks the ever-changing marsh. This house has association rights to tennis courts and access to the Bike Path. Come see! 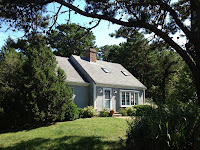 Check out the website for more photos, a Virtual Tour, and a map... http://25Wexfordlane.robertsheldon.com. The forth annual “Celebrate Our Waters” weekend, will be held September 13th, 14th and 15th, 2013, with many new events, encore presentations of some of your favorites. All events are free! The weekend’s purpose is to showcase the area’s precious bays, ponds, lakes, marshes, creeks and beaches and thereby increase general awareness and appreciation of our valuable water resources. 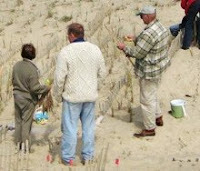 The event was originally conceived of as simply a few guided walks highlighting Orleans’ ponds and saltwater estuaries but it quickly mushroomed into a two day (and now three day) festival including walks, bike rides, talks, tours, kayak trips, cat boat sailing, aquaculture events, a sand sculpture contest and a bonfire on Nauset Beach. 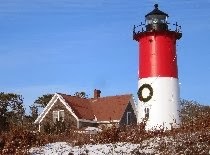 For 2013, they added Friday to the weekend festivities and continue with last years' popular geographical expansion with events in Brewster and Eastham. This is a weekend to celebrate what brought many of us here in the first place – the wonderful waters all around us. EASTHAM - New Listing - Tucked into the trees at the very end of a quiet cul-de-sac is a neat & clean 3 bedroom contemporary Cape with a large deck, wide pine floors, open floorplan with large dining room extension w/Bay window, vaulted living room with wood fireplace and ceiling beams, garage under, and a new outdoor shower. 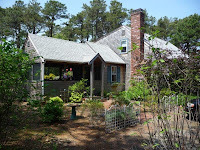 This house is located on the ocean side of Rt 6 with easy access to the Seashore and the ocean beaches. Most furniture included. Nicely priced at $419,000. Windmill Weekend is the year's biggest and best weekend in Eastham and is held the weekend after Labor Day. The town puts on a party with lots of events and it's always fun for the whole family. The 36th annual Windmill Weekend includes an art show, a craft show, a car show, sand 'art' at First Encounter Beach (my favorite), concerts, a clam chowder contest, square dancing, a parade, 5 mile and 2 mile runs, and much more. 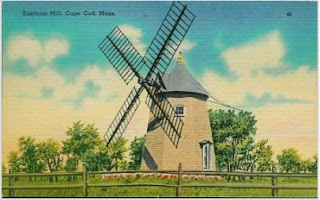 Go to the Windmill Weekend website for a schedule and more information. This year's theme is "Fall for Eastham". Come - come join the fun! Two items of special note. 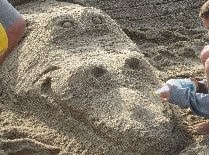 First - the sand art contest will be held late afternoon on Saturday to be at low tide, and second - the parade route on Sunday will start at Arnold's Restaurant and proceed to the Windmill Green. 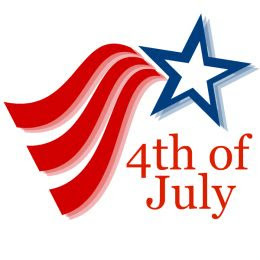 The parade starts at 1 PM. See you there! Total August sales were approximately $4.0M - the average home sale price was $448K. The median sale price in August was $437K. There are currently 113 active single family listings in Eastham (down 4 from last month), with an average list price of $698K and a medium list price of $505K. The average days-on-market is currently 209 days. 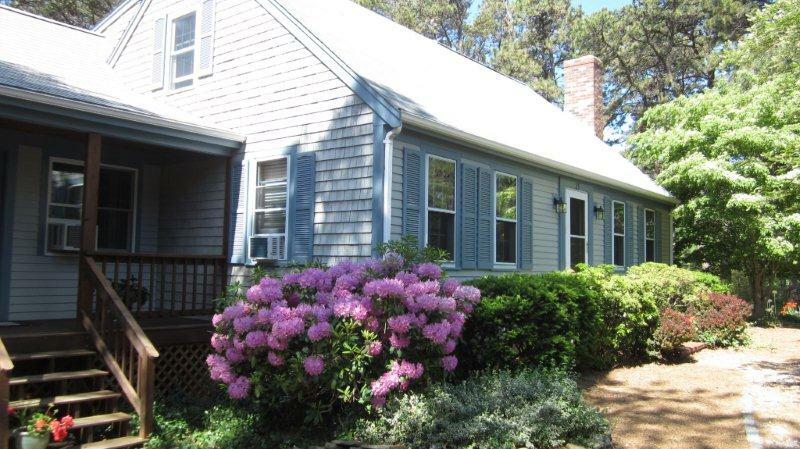 EASTHAM - New Listing - This is a well-maintained 3 bedroom Cape home with many great features. Wide-plank wood floors, large loft, ceiling fan, vaulted living room with gas fireplace, skylights, 1st floor laundry, expanded garage, and a wonderful 2-level deck. Located on quiet paved road near the bike path. This is a great value and a must see. Listed at $449,000. More information, more photos, and a Virtual Tour can be found at http://495HayRd.robertsheldon.com. 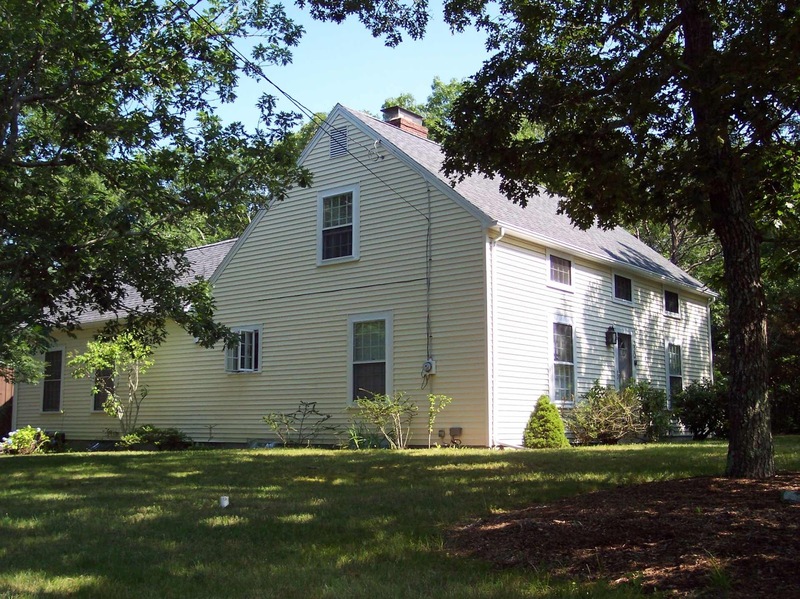 The 2014 real estate tax rate for Eastham is $7.02/thousand (up 7.5%). The tax on the median-valued home will be $2,683.40. 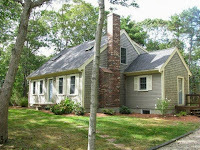 The assessments for individual homes are available online on the Town of Eastham website...Here. You can also pick up a newspaper-like copy of the town assessments at Town Hall and at quite a few of Eastham's commercial establishments (e.g. the Eastham Superette). My September 2013 Market Report Is Available Now! My September 2013 market report is available now! This issue has my report on Eastham's July sales as well as my mid-year market update for Eastham's neighboring towns. Additionally, there are several new listings and links to a number of recent articles that you'll find interesting. This newsletter has been published every month for over 10 years. My aim, with this newsletter, is to provide accurate sales and market information about the Eastham housing marketplace, to add commentary and opinion (as appropriate), and to keep it interesting. Download your copy of my September newsletter now. 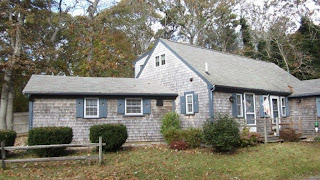 ORLEANS (Rock Harbor) - New Listing - This is an wonderfully maintained, beautifully decorated, and superbly updated 5 bedroom Cape home just short walk to Rock Harbor. Wonderfully landscaped with many plantings, including a rose garden, and a cute playhouse. 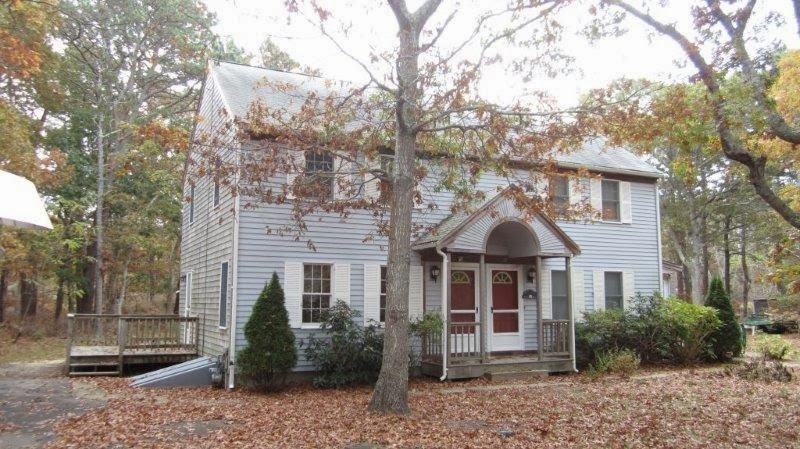 Enjoy your granite counters, living room with fireplace, 1st floor laundry, large rear deck, and 2 car garage. A delight - and close to beautiful Rock Harbor and Orleans center. Listed at $624,000. For lots of photos and a Virtual Tour, go to http://5SmithBrosRd.robertsheldon.com. 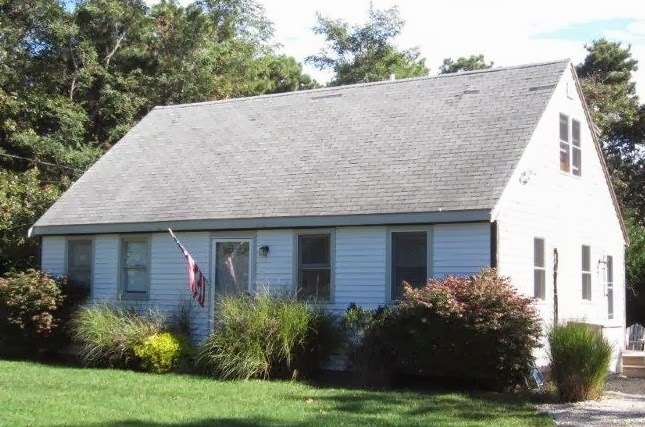 This is a beautifully maintained and wonderful 3 bedroom, 2 bath Cape with many extras! It has a huge master suite with dressing area and master bath with a soaker tub, bright open floorplan with dining area that opens to the large screened-in porch. Deeded access to a private Association beach on Herring Pond. Nicely set back from road for your privacy. Close to the bike path. Easy access to Orleans via Bridge Rd. Enjoy your retirement or rent it out. Listed at $474,000. For more photos, a Virtual Tour, and a map, go to http://1495BridgeRd.robertsheldon.com. 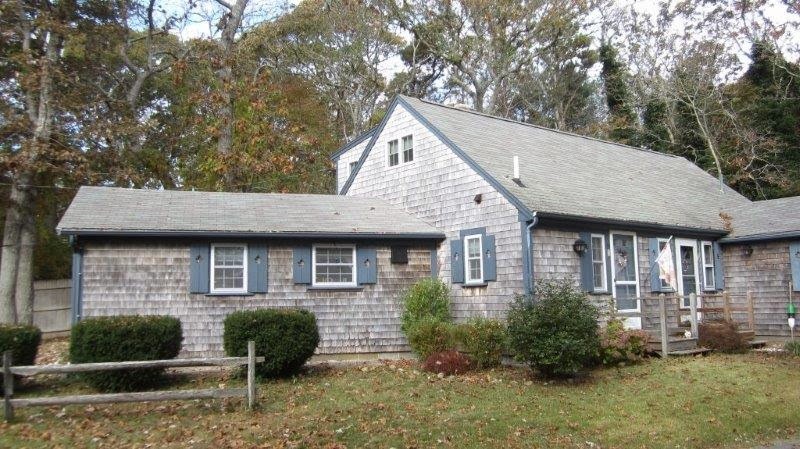 The Assessor's office for the Town of Eastham has released the preliminary assessments for 2014 for Eastham properties. 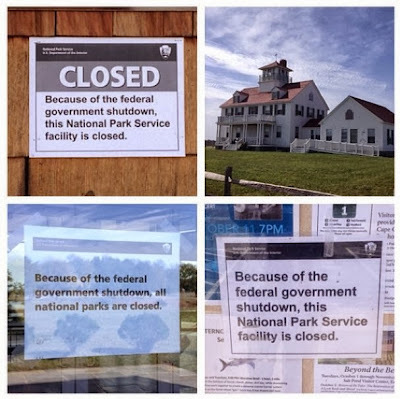 They are available online on the Town of Eastham's website and, in newspaper form, at various places around town. These assessments can be appealed at the Assessor's office at Town Hall until close of business this Friday, August 9th. 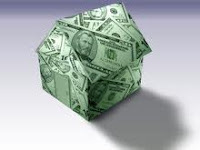 They represent the property values of homes and businesses on 1/1/2013. These assessments become 'final' on August 21st. Also, it's expected that the tax rates will be established by the end of the month. Eastham's July Sales - Improving? Total July sales were approximately $5.6M - the average home sale price was $434K. (Please note that the 13 sales ran from a minimum of $255K to a max of $905K, skewing the average well north of the median). The median sale price in July was $375K. There are currently 117 active single family listings in Eastham (same as last month), with an average list price of $660K and a medium list price of $499K. The average days-on-market is currently 206 days. It's early this year. 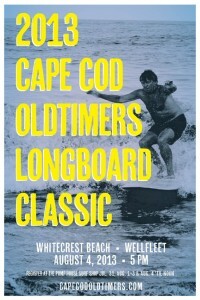 The 2013 Cape Cod Oldtimers Longboard Classic will be held at 5 PM on Sunday, August 4th, at Wellfleet's White Crest Beach. This year there will be a few new rules (see below). Since vintage longboards are getting valuable and harder to come by any longboard over 9 foot to be used in the contest (without a leash). Collector boards and vintage items should still be available for everyone to drool over. This is intended to be a fun event - not to be taken too seriously. Enjoy! 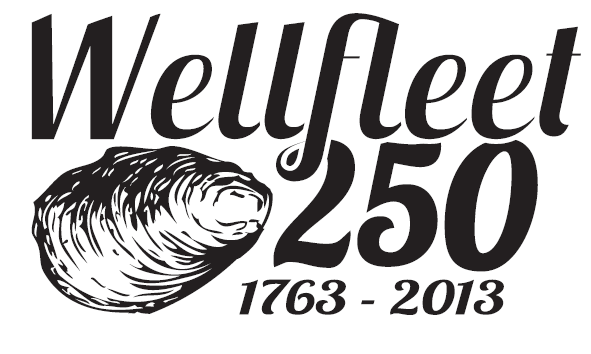 Wellfleet is now 250 years old - a milestone that's being celebrated all this year through a huge series of events known, collectively, as Wellfleet 250. 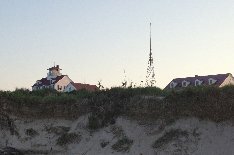 Wellfleet began as the northern end of Eastham and was spun off in 1763. The Wellfleet 250 celebration includes parades, car shows, art exhibits, talks, concerts, post card exhibits, and much, much more. A note - Wellfleet Founders' Week is August 2nd through August 10th, with lots of special events. Check out their website at http://www.Wellfleet250.org. 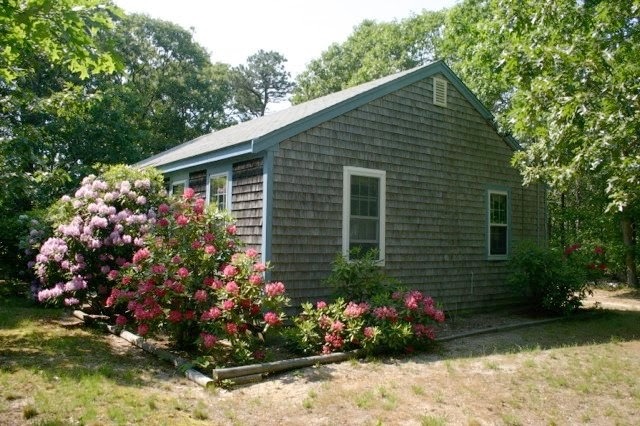 Bright, open, Eastham Bayside near Campground Beach on private sand road. Charming remodeled main house has five bedrooms, and there is a legal, two-bedroom apartment attached. New Title 5 septic is for 7 bedrooms. New oil burner and tank, new hardwood and tile floors in living areas. New kitchen and appliances. Apartment recently completely remodeled. Furnishings negotiable. Fantastic rental as 2 units. Great price for a lot of house at $549,000. This home is featured on www.AirBnB.com...Here. 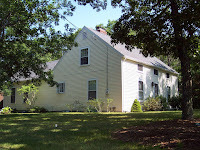 For more photos, a Virtual Tour, and a map to this home, go to http://95OldFarmLane.robertsheldon.com. 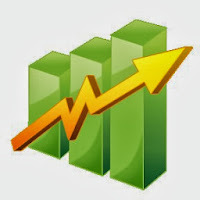 My Mid-Year 2013 Market Report Is Available Now! My August 2013 report is available now! 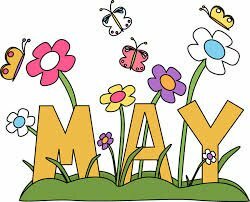 This issue of my newsletter has my mid-year Eastham market update. Additionally, there are articles about the recent increase in mortgage rates and several new listings and links to a number of recent articles that you might find interesting. This newsletter has been published every month for over 10 years. My aim, with this newsletter, is to provide accurate sales and market information about the Eastham housing marketplace, to add commentary and opinion (as appropriate), and to keep it interesting. Download your copy of my August newsletter now. What could be more cool, and fun, than a little Shakespeare on the beach? Well, on Monday and Tuesday evenings, under the tent on Mayo Beach in Wellfleet, you can see Shakespeare as you've probably never seen it. On Mondays you can see a two-actor Macbeth. On Tuesdays you'll see "Shakespeare On-Demand" where these same two actors will take requests from the audience. This Tuesday were performances of Henry VI, Henry V, Romeo and Juliet, Julius Caesar, Tempest and the Taming of the Shrew! Check out the schedule of events on the Knighthorse Theatre Company's website. Also on the website you can meet the actors, Amy McLaughlin Lemerande and her husband Tyrus Lemerande. They've been doing Shakespeare in Wellfleet for 7 years now. Enjoy! Will Waiting to Buy a Home Cost You? The last few weeks have seen mortgage rates climb about half a percent, to about 4.5% (30 yr/no points). This will certainly change monthly mortgage payments somewhat. But will it change the real estate marketplace? Here is an article from Realtor.com that may provide some insight. The prevailing thought is that now is still a great time to buy. Check out the article ... here. 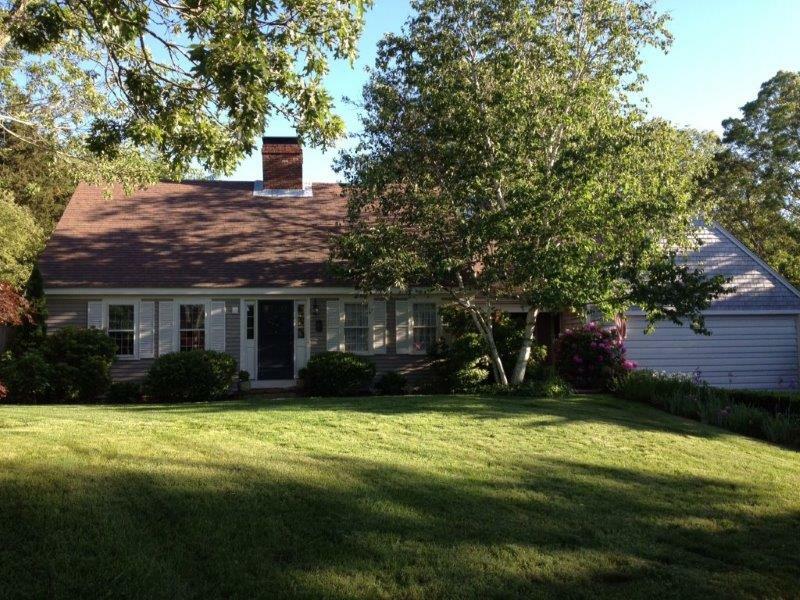 Eastham - NEW LISTING - This is a beautiful 3 bedroom home with space for the whole family! 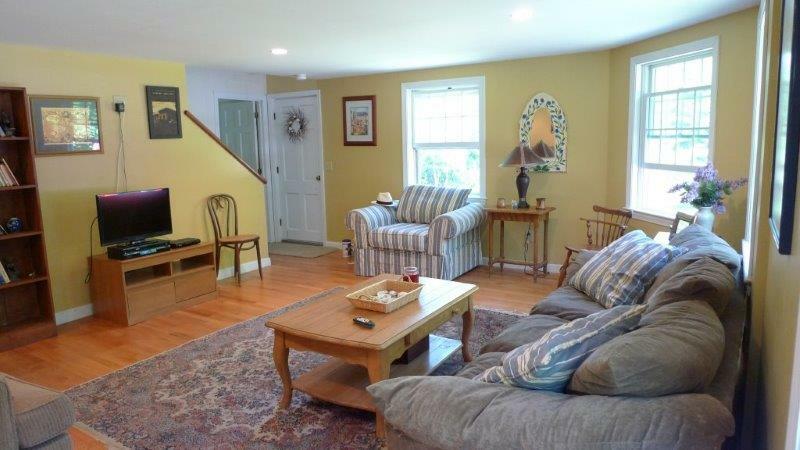 Everything about this home indicates that its been lovingly cared for and well enjoyed. Large open updated eat-in kitchen, cozy TV room off kitchen, spacious master suite w/laundry and huge private bathroom, large private deck w/outdoor shower, 2 bright 'guest' bedrooms upstairs, and so much more! Home has new roof, new gas furnace, and a detached garage to store all your toys. Listed at $524,000. 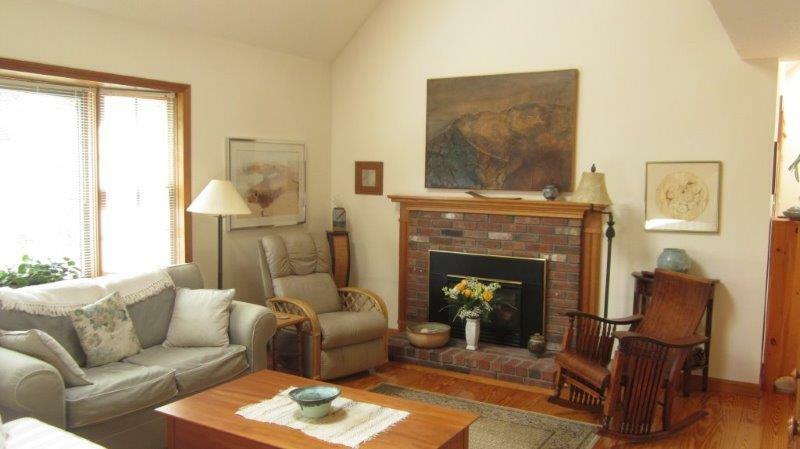 For more photos, a Virtual Tour, and a map to this home, go to http://220AquinnahRd.robertsheldon.com. 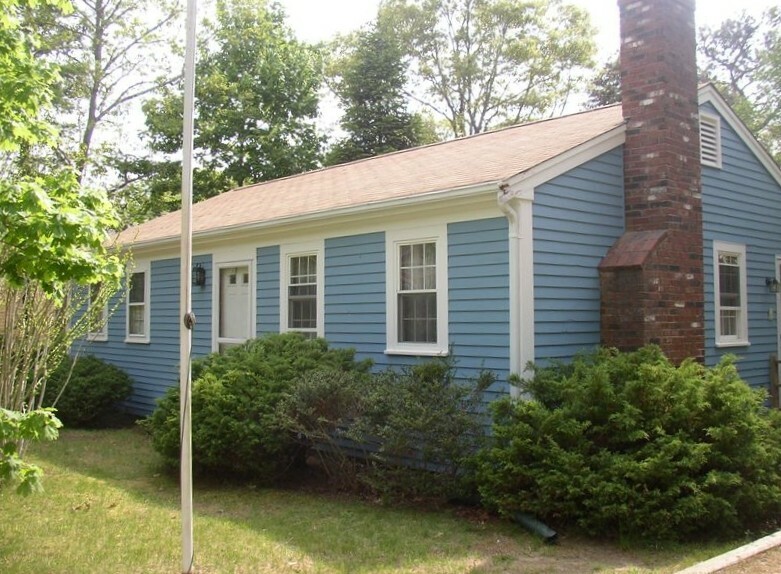 EASTHAM - New Listing - This is a 3 bedroom Bayside Cape Cod ranch on a quiet cul-de-sac and is great for families. The bright kitchen has a newer refrigerator, dishwasher, Stove/oven, ceramic tile floor and cabinetry. A large deck that gets full afternoon sun. Behind is a wooded lot that affords plenty of privacy. Your beach sand can be rinsed off in the outdoor shower. There are 2 full bathrooms, and the improved driveway is large enough for up to four cars. 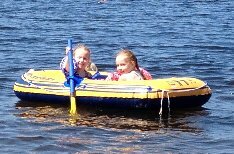 Just minutes to Thumpertown and Campground Beaches, Wiley Park, and Great Pond. Priced at $359,000. This has been a great rental property (VRBO #38265). For more photos, a Virtual Tour, and a map, go to http://45WoodSongDr.robertsheldon.com. June 2013 Eastham Sales - Improving? Total June sales were approximately $5.6M - the average home sale price was $510K. (Please note that the 11 sales ran from a minimum of $280K to a max of $1.3M, skewing the average far north of the median). The median sale price in June was $416K. There are currently 117 active single family listings in Eastham (up from last month's 104), with an average list price of $684K and a medium list price of $529K. The average days-on-market is currently 207 days.